It's been more than forty years since NASA sent the first men to the moon, and to grab some much-needed funding and attention, they decide to launch an historic international lottery in which three lucky teenagers can win a week-long trip to moon base DARLAH 2-a place that no one but top government officials even knew existed until now. The three winners, Antoine, Midori, and Mia, come from all over the world. But just before the scheduled launch, the teenagers each experience strange, inexplicable events. Little do they know that there was a reason NASA never sent anyone back there until now-a sinister reason. But the countdown has already begun. . .
Gripping and suspenseful, 172 Hours will have readers constantly asking themselves how the characters can possibly survive. 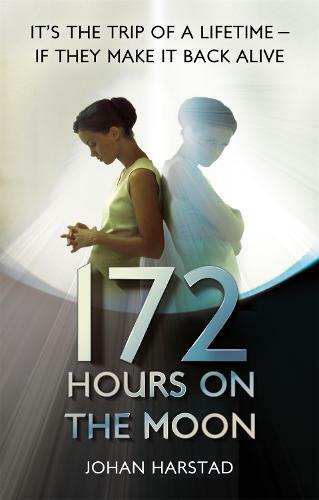 Original, creepy, intense, and quite violent, 172 Hours is page-turning sci-fi that will stay with readers long after the shocking and heartbreaking conclusion.